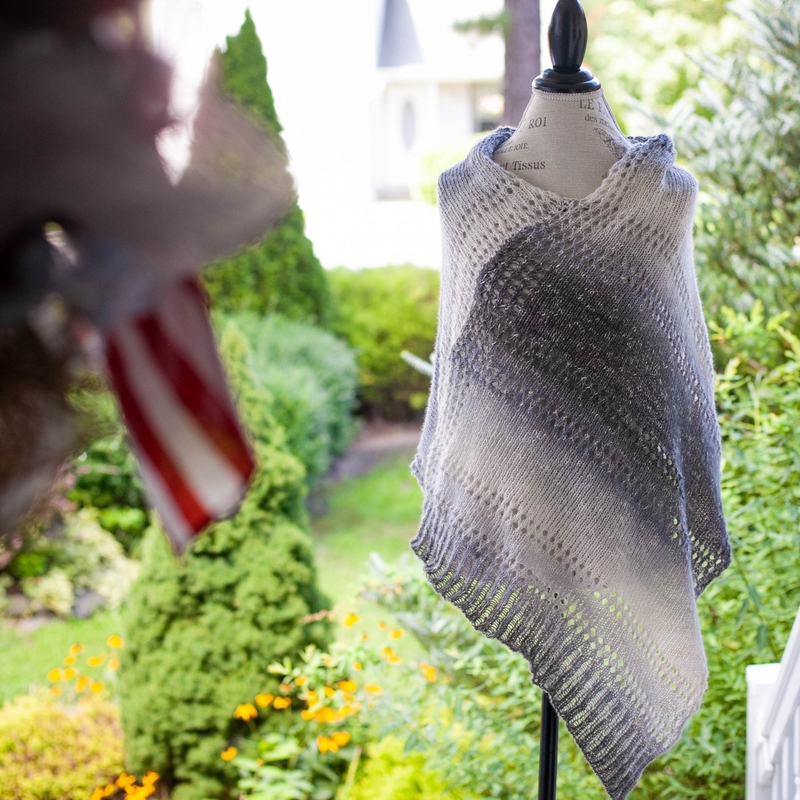 Loom Knit Poncho Cape Pattern. 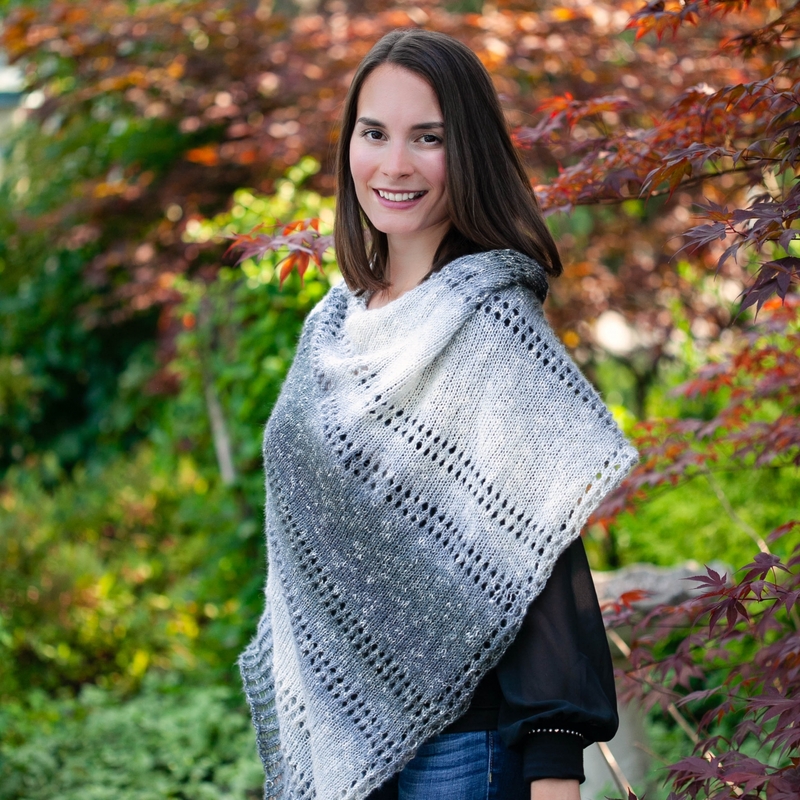 The Grey Skies Poncho Has An Elegant Design and Is An Easy Loom Knit. 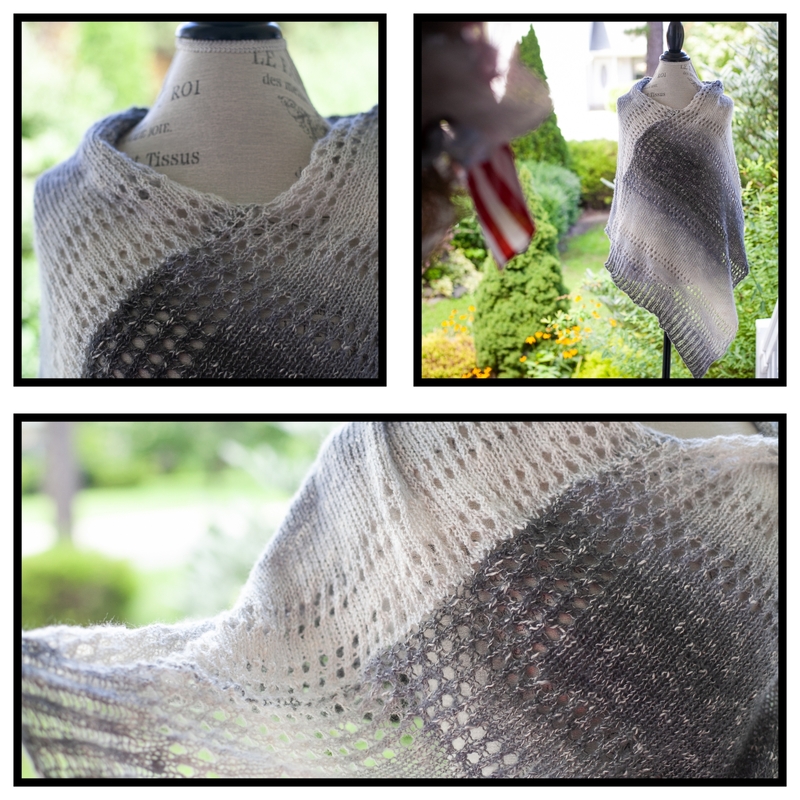 PDF PATTERN Download. 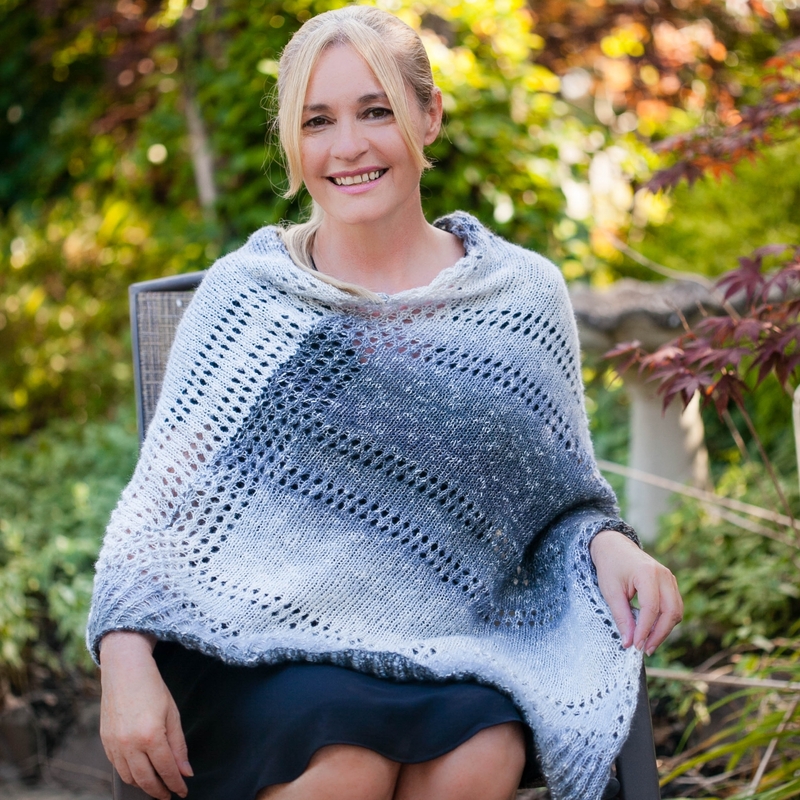 This lovely poncho is loom knit from one rectangle and then cleverly seamed into this elegant poncho style cape. 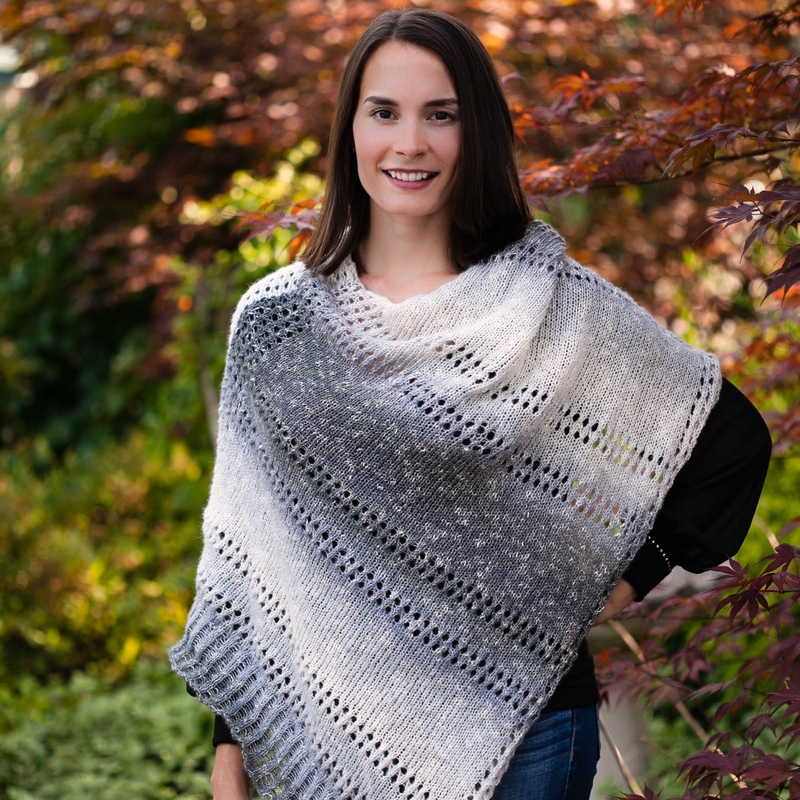 It has beautiful drape, and easy to memorize eyelet stitch pattern. 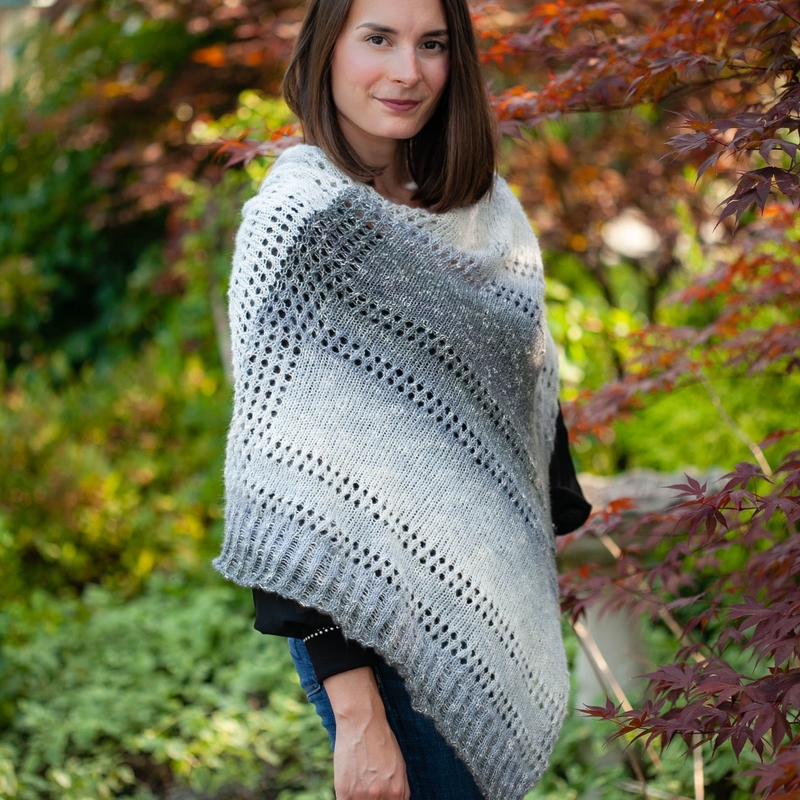 This is a perfect pattern for the confident beginner+ loom knitter that would like to loom knit their first garment. You can dress this cape up or down to suit your outfit! Level: Confident Beginner and Above. Loom Needed: 3/8” Peg spacing round, adjustable or straight loom, with 76 pegs. Knitting Board adjustable loom was used in making the sample. 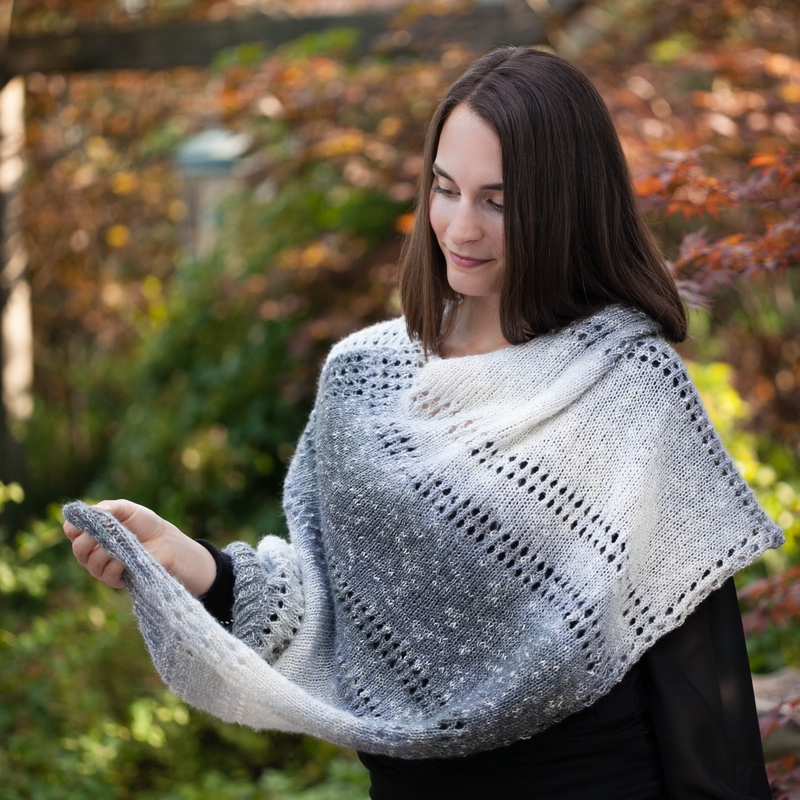 ALL pattern sales are FINAL and NON-REFUNDABLE after download, no exceptions.